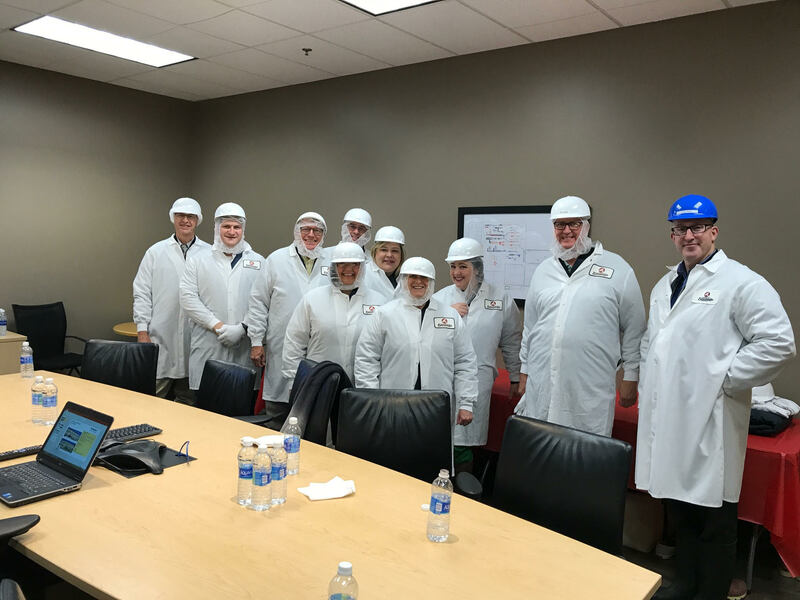 Platte County’s strong food manufacturing industry was in the spotlight during a recent tour organized by the Kansas City Area Development Council. 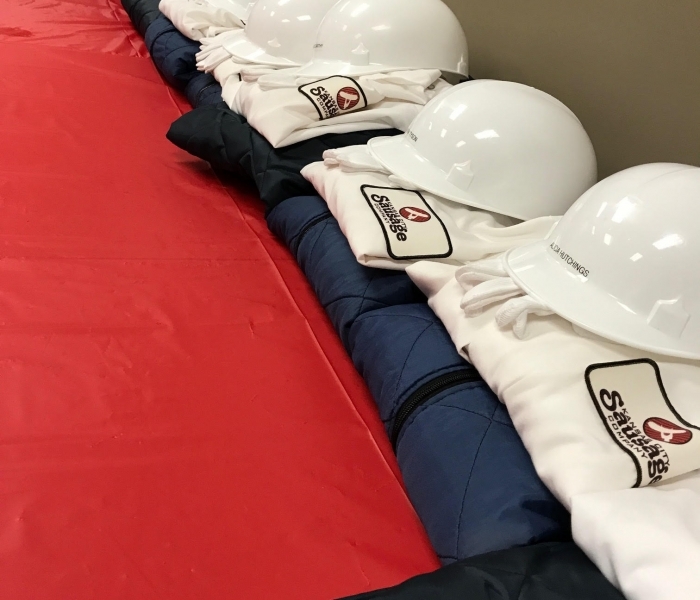 On June 29th, Scott Kupperman of Kupperman Location Consultants, based in Chicago, was hosted at two Platte County companies as part of a tour of the Kansas City region. 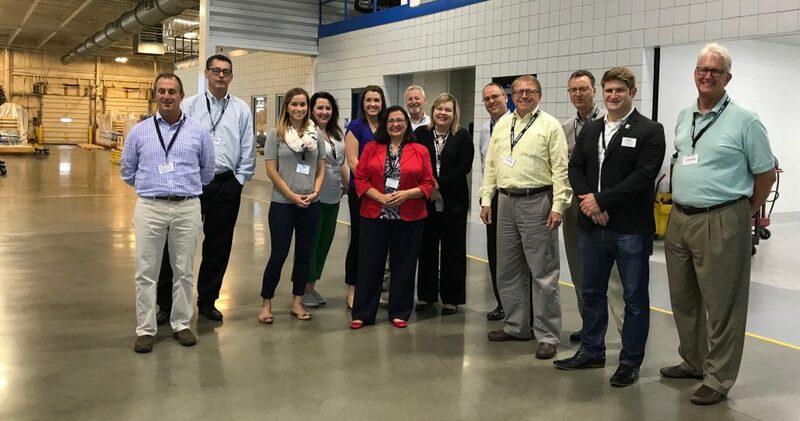 Platte County EDC participated in the two-day tour alongside representatives from other regional economic development councils and businesses. 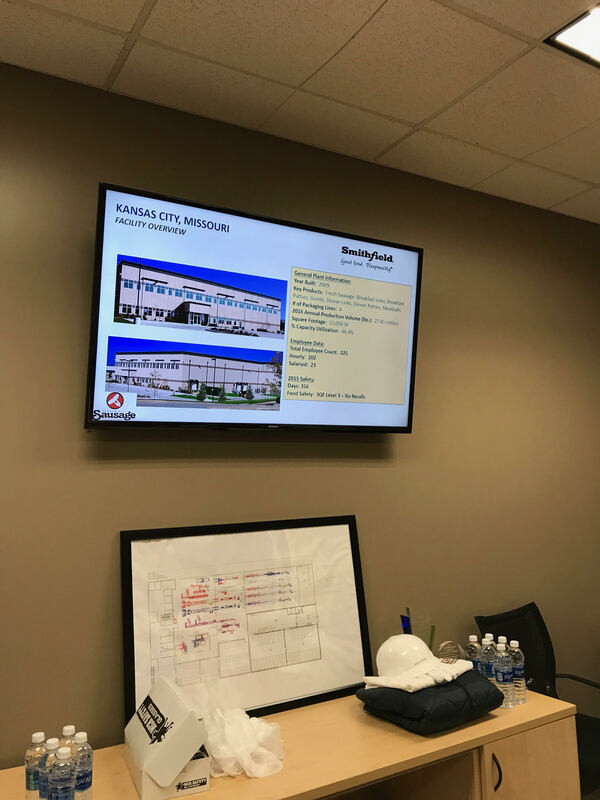 Both MULTIVAC and KC Sausage are located in the KCI Corridor and have undergone multiple expansions which continue to create more jobs for Platte County. 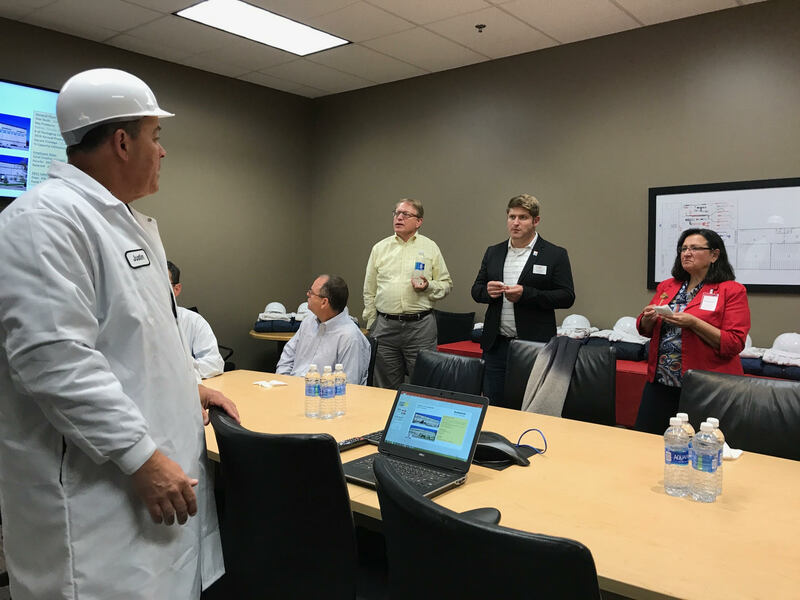 The tour kicked off at MULTIVAC, which is a global leader in packaging solutions for food, medical, consumer and industrial products. 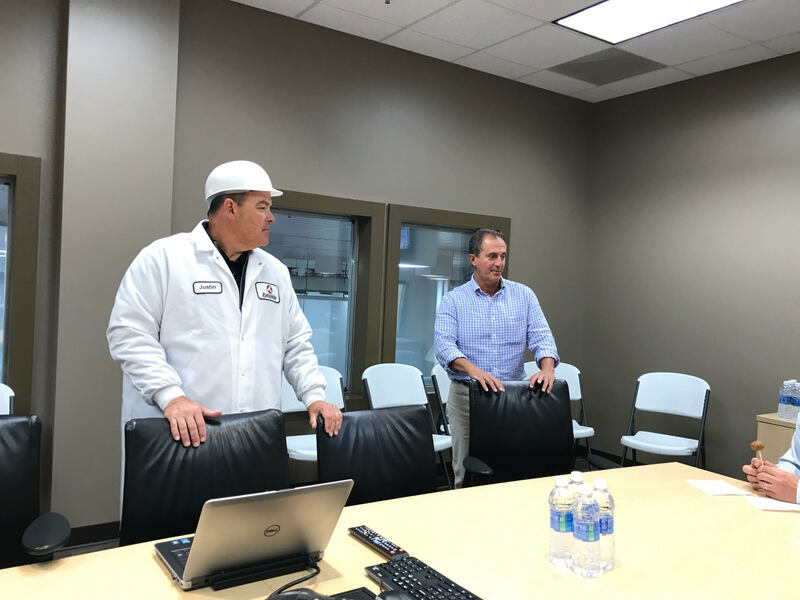 Platte County is home to MULTIVAC’s US headquarters, and the company is based in Germany and conducts operations in over 140 countries. 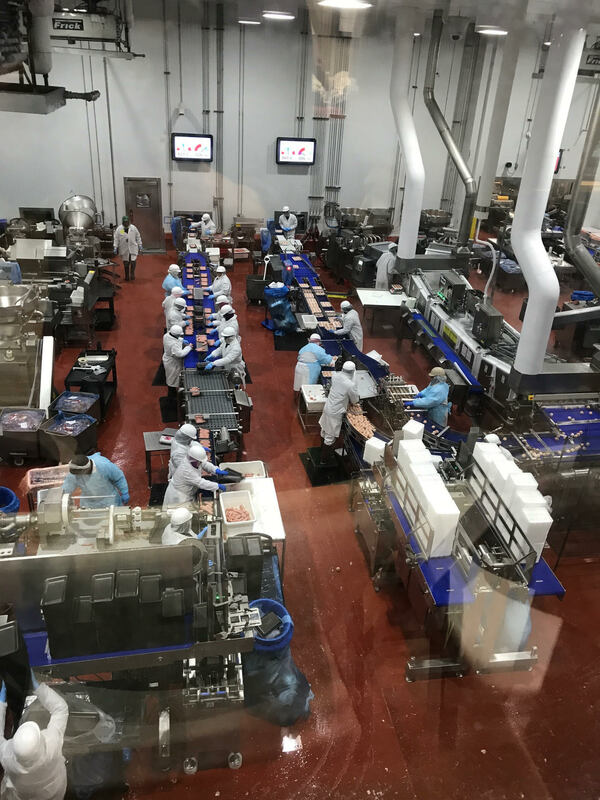 MULTIVAC has manufactured food packaging equipment in Kansas City, Platte County for 27 years and it employs close to 300 people. 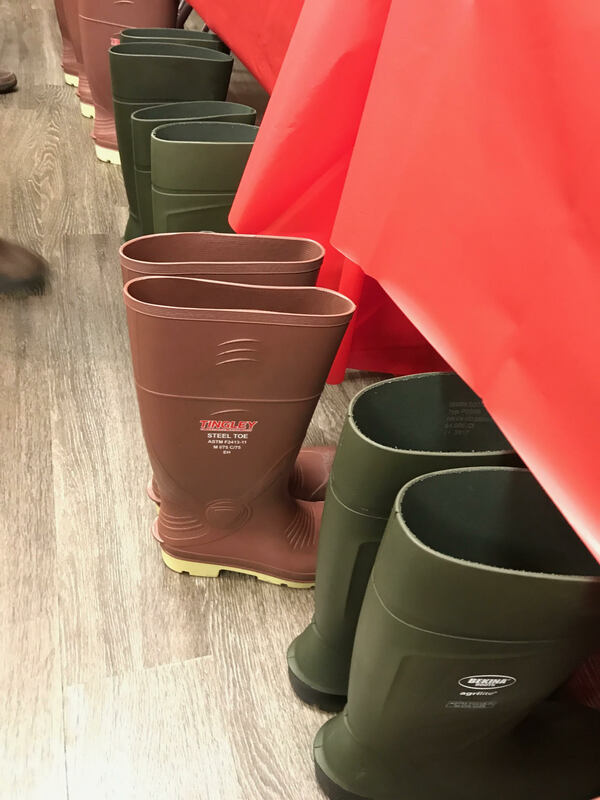 In 2016, MULTIVAC completed a 32,000 square feet expansion which brought its total space to nearly 120,000 square feet. 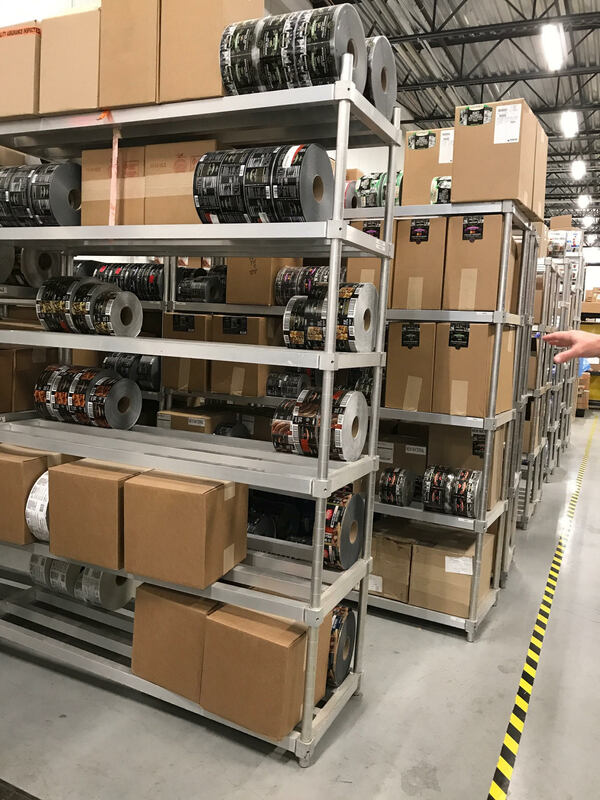 The new space provides more office space and a larger, more modern Innovation Center which offers customers the ability to do package testing on their products to evaluate the look and quality of various package solutions. 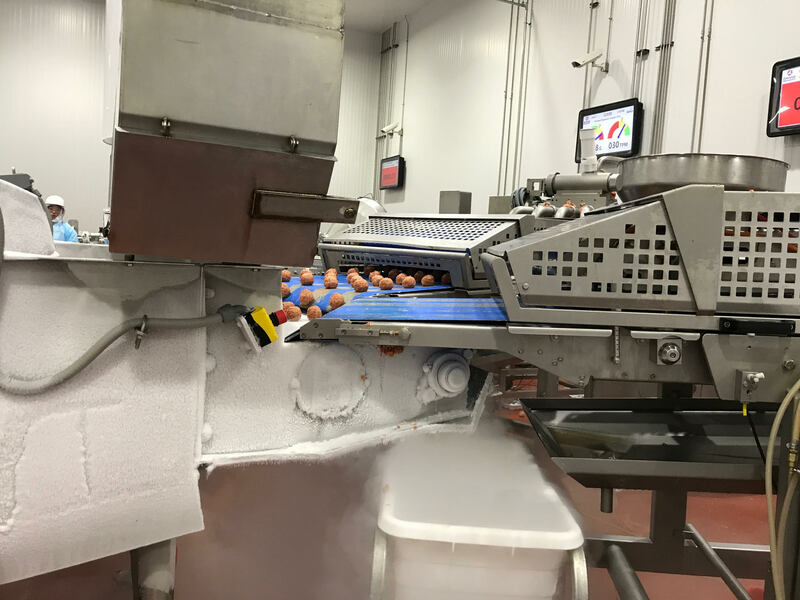 MULTIVAC’s clients include some of the largest food processors in the United States and it is a 12-time Hormel Spirit of Excellence Award winner. 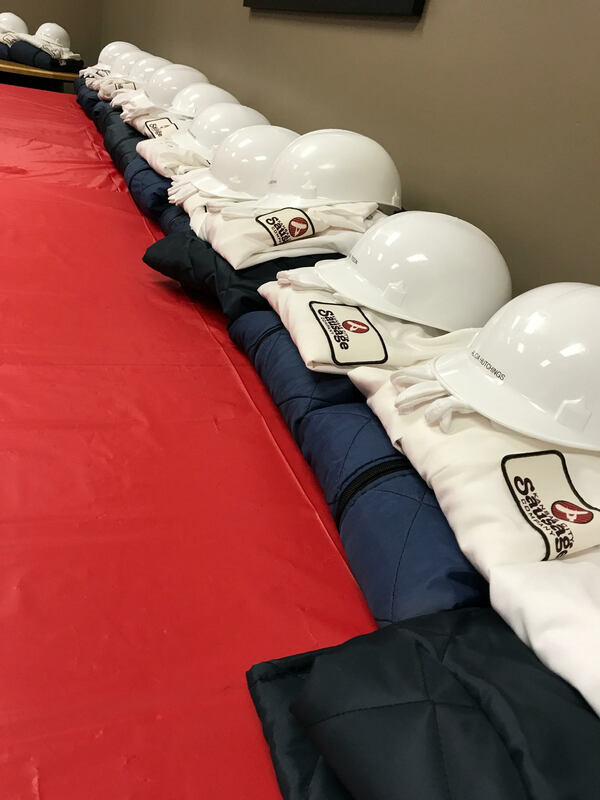 The next stop on the food manufacturing tour was Kansas City Sausage Company. 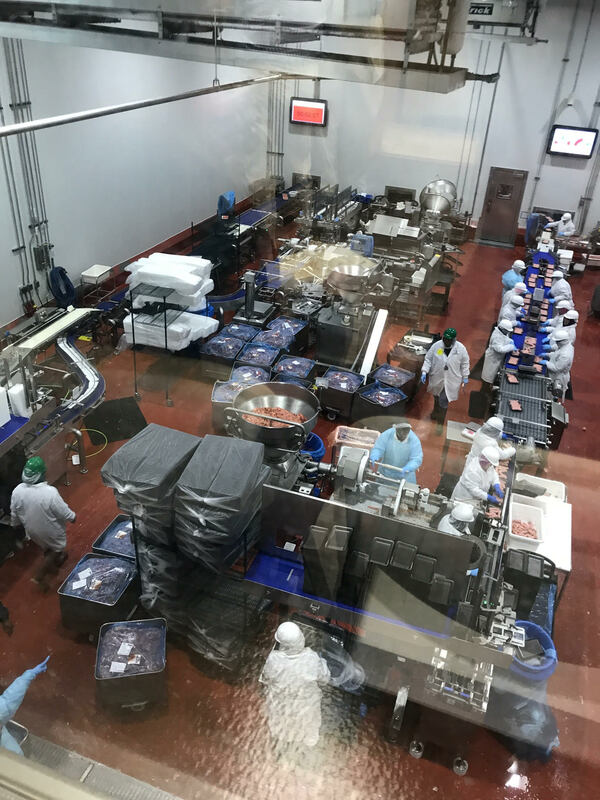 The sausage manufacturing facility opened in 2009 with 18 employees and it has since grown to 175 employees with 200 required during peak periods. 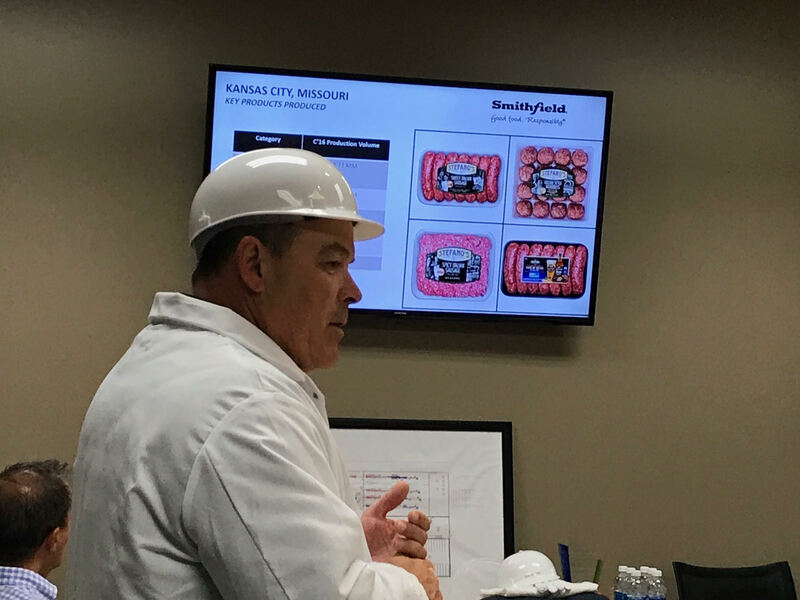 KC Sausage currently produces 35 million pounds of product for three main customers: Wal-Mart, Save-A-Lot, and Smithfield. 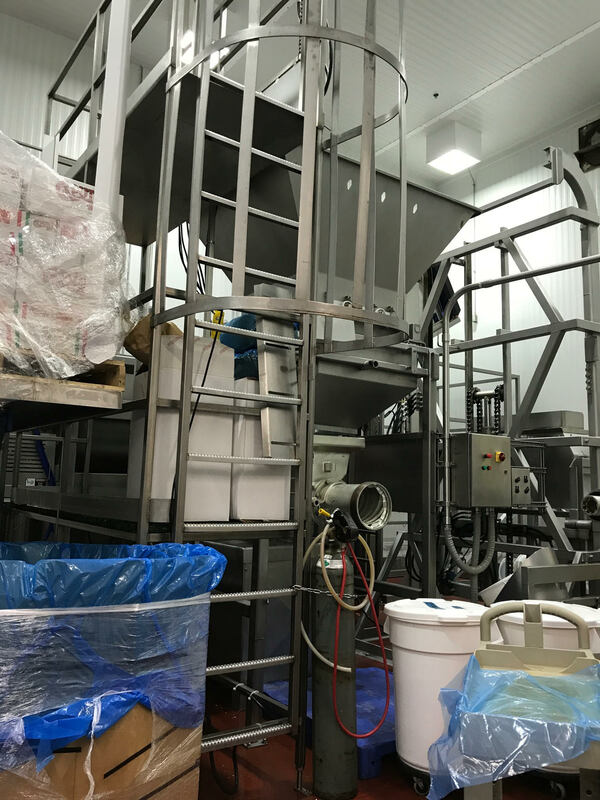 The company continues to expand and in 2016 completed construction of a new blast freezer and additional production line. 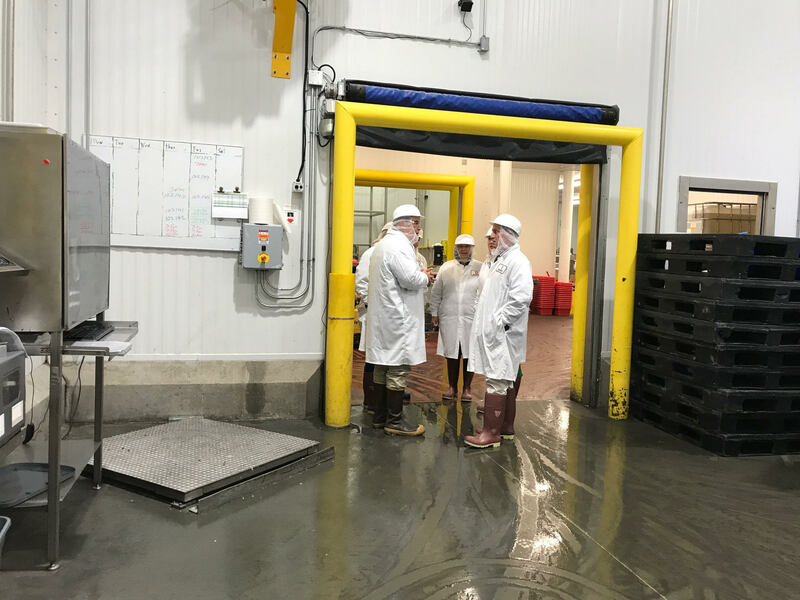 The new freezer allows them to freeze 250,000 pounds of product from 34 degrees to 0 degrees in 24 hours. 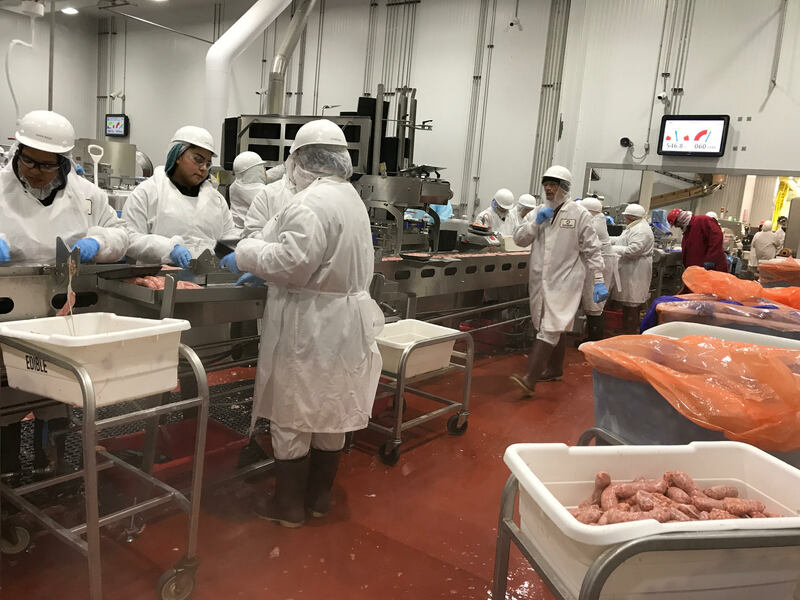 The expansion added 18,000 square feet to the existing 37,000 square feet and KC Sausage plans to add another 15,000 square feet in 2018 to add another production line and additional employee areas. The Platte County EDC was able to participate due to its membership and participation fees with the Kansas City Area Development Council.